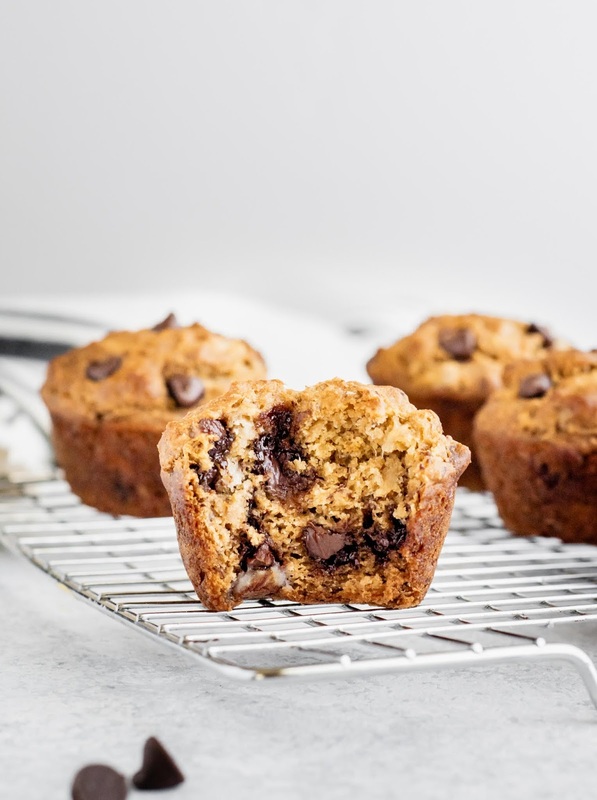 Healthy banana muffins with chocolate chips for a little indulgence. This is the only banana muffin recipe you'll ever need! The greek yogurt adds protein and keeps the muffins moist. You'll love these easy banana muffins -- made without butter or refined sugar! If you want to make the muffins a bit smaller, you can make 15 instead of 12 and each muffin will be around 136 calories. You'll also need to reduce baking time a bit, as muffins will bake faster since they're smaller. 0 Response to "Skinny Banana Chocolate Chip Muffins"